MWSD-31 provide limited aviation ground support to enable a composite Marine Aircraft Group (MAG) and supporting or attached elements of the Marine Air Control Group (MACG) to conduct expeditionary operations. This patch shows their mascot, the "SWEATHOG" in the Armored Vehicle and says "WE CAN CARRY PASSENGERS TOO!". This patch does come with velcro attached! Marine Wing Support Detachment 273 (MWSD-273) is an aviation ground support unit of the USMC. They are based out of MCAS Beaufort, SC and fall under the command of Marine Aircraft Group 31 and the 2nd Marine Aircraft Wing. This is their newly renamed squadron/detachment patch they created and does come with velcro attached. 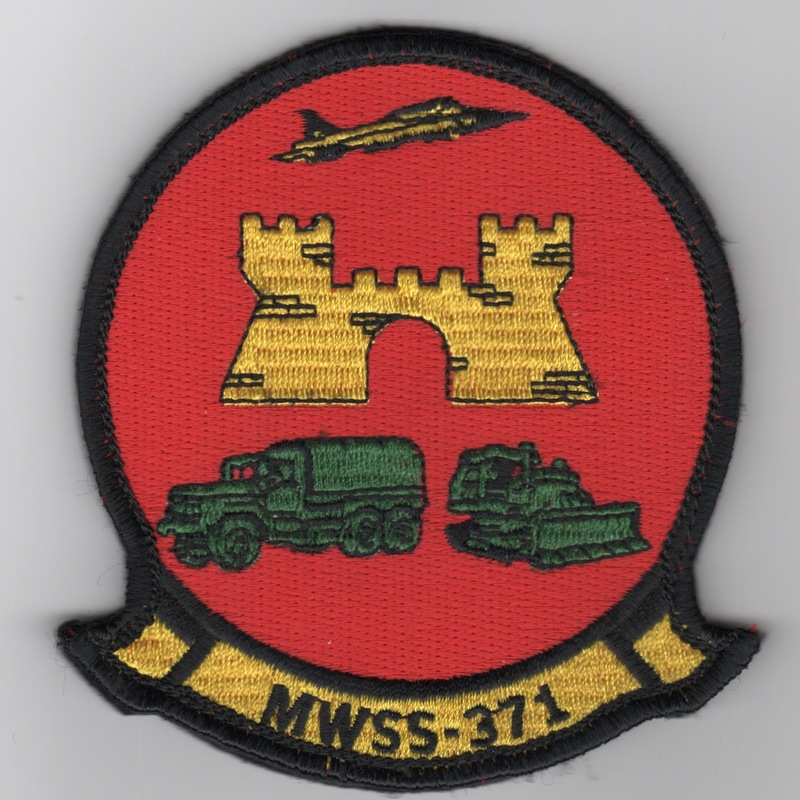 Marine Wing Support Squadron 273 (MWSS-273) is an aviation ground support unit of the USMC based out of MCAS Beaufort, South Carolina. The squadron falls under the command of Marine Aircraft Group 31 and the 2nd Marine Aircraft Wing. Their mission is to provide all essential aviation ground support to a designated fixed-wing component of a Marine Aviation Combat Element (ACE), and all supporting or attached elements of the Marine Air Control Group (MACG). 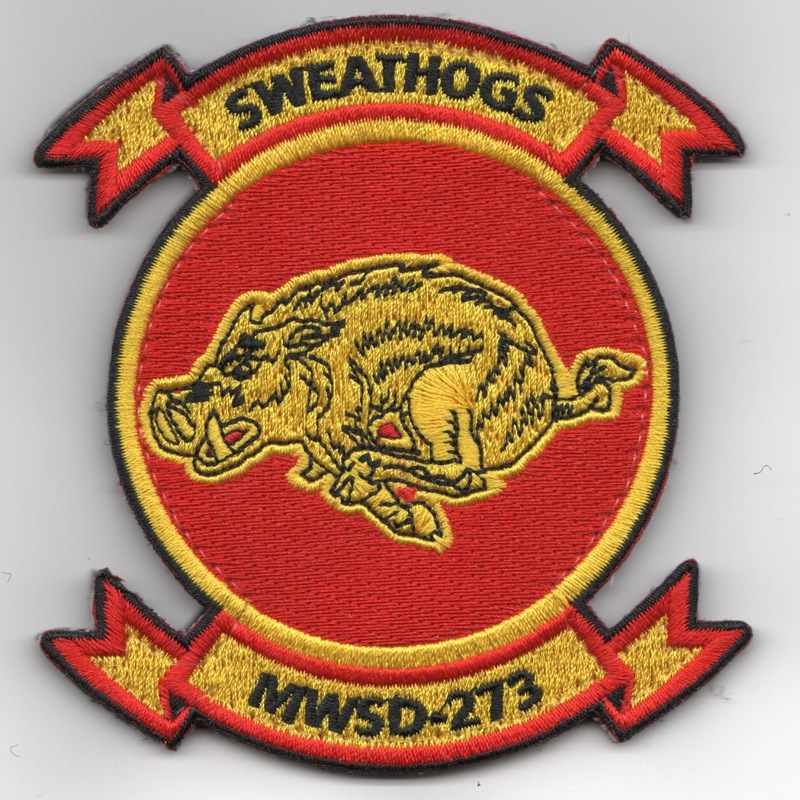 This is the squadron patch for the MWSS-273 Sweathogs and does not come with velcro attached! Marine Wing Support Squadron 371 (MWSS 371) is an aviation ground support unit of the USMC based out of MCAS Yuma, Arizona. The squadron is part of Marine Wing Support Group 37 and the 3rd Marine Aircraft Wing. Their mission is to provide all essential Aviation Ground Support requirements to a designated fixed-wing component of an Aviation Combat Element (ACE) and all supporting or attached elements of the Marine Air Control Group. This is the red version of their squadron patch and does come with velcro attached! Homepage | Order USMC MWSS Patches!